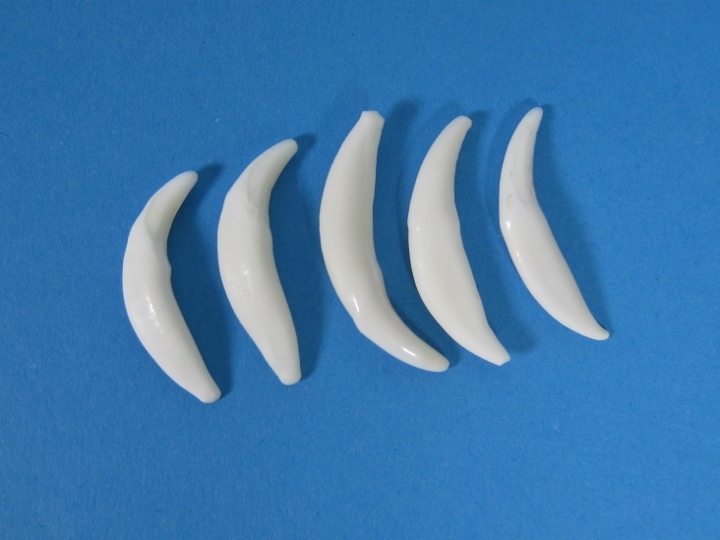 These good quality fox canines (incisors) are teeth from red fox in Quebec. They are smaller than the coyote canines, measuring 3 cm on average. Ideal for craft projects. Genus and species: Vulpes vulpes. Wild. Red fox are not subject to CITES controls.